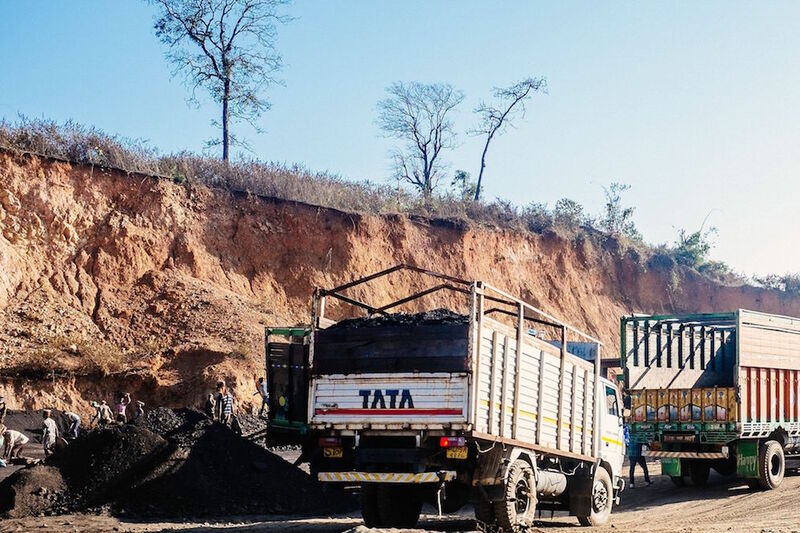 In the second part of his essay on coal mining in the Jantia Hills in Meghalaya, Arunabh Saikia discusses the impact of the current stalemate and how the BJP’s promise to lift the mining ban may woo local voters away from Congress in the upcoming elections. The most common reading of the National Green Tribunal order of 2014 ascribes the coal mining ban to environmental reasons. That, however, is only partly true, point out legal experts. In addition to calling Meghalaya’s mining unscientific, the tribunal also said it was illegal. The lack of regulation that the tribunal took note of, officials and lawyers say, was largely by design. For as long as it worked, coal mining was one of the primary drivers of the state’s economy and politics. Some of Meghalaya’s most influential politicians are coal miners. Now that it has been proscribed, the consequences may well be political too, say analysts. 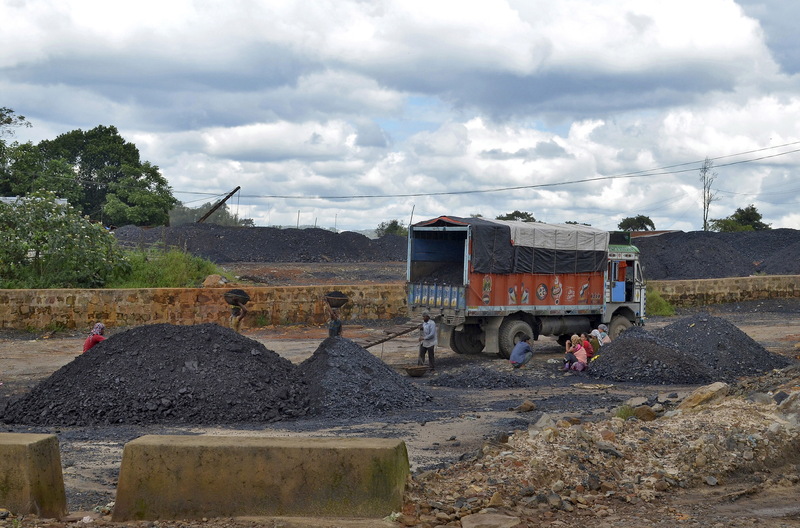 Along the highways of Meghalaya, trucks transporting coal were a common sight. Photo credit: Tarun Bharatiya. Industries dependent on coal have also been hit hard by the stalemate. Limestone-rich Meghalaya is home to several cement plants, the primary fuel for which is coal. The mining ban has forced many of these factories to import coal from outside the state. Production costs have shot up as a result, claim factory owners. “It will be very difficult to continue like this for too long,” said RK Pareek of Meghalaya Cements Limited in Lumshnong in East Jaintia Hills. For some, the pinch is a lot more severe. A company called Magic Cement, for instance, has stopped all production at its solitary plant in Umiam, in the outskirts of Shillong. “We had to lay off around 500 people,” said the company’s managing director Rahul Bajaj. All these people are now looking at the elections as a harbinger of “some sort of solution”. Many of them say the impact of the ban transcends the boundaries of the Jaintia Hills and is palpable in the commercial hub of Shillong as well. “The market went completely thanda [cold] for a couple of months after the ban,” said a restaurateur in Shillong. “All the bada paisa [big money] comes from the coal business.” Real estate prices in the city – home to many of the bigger miners – are said to have plummeted in the wake of the ban. Congress supporters contend the state government could not have done much since it was a judicial intervention that led to the ban. They also say a change in Shillong’s power corridors will make little difference. Legal experts and activists disagree. They point to the fact that in subsequent orders, the National Green Tribunal stated that for mining to resume, the state government would have to come up with a fresh mining policy in accordance with the laws of the land. So far, the state has failed to formulate a policy that would pass muster with the tribunal, activists and miners alike. 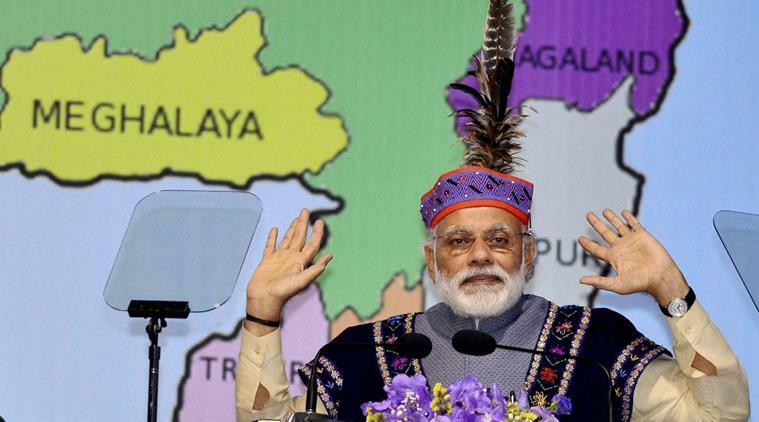 Many in Meghalaya are also convinced the government’s failure to end the stalemate is wilful. They say the lack of regulation works for politicians and bureaucrats. These assertions emanate from the fact that coal in the Jaintia Hills continues to be mined – illegally. Taking note of “the illegal mining despite specific and complete prohibitory orders”, the tribunal had pulled up the state government in 2015. Labourers work at a coal stockyard in East Jaintia Hills in Meghalaya, September 16, 2015. Photo credit: REUTERS/Krishna N Das. In their defence, government officials and the police say the National Green Tribunal is partly to blame for the illegal mining. Since it imposed the ban on coal mining in 2014, it has repeatedly caved in to persistent appeals by miners and allowed the transportation of coal that had already been extracted. The latest extension – and in all likelihood, the last one – came in November, allowing the transportation of extracted coal for another four months. While the tribunal set up a committee to assess and weigh the extracted coal declared by miners, government officials involved in the process said the exercise was not foolproof. Several coal miners Scroll.in spoke to admitted to overstating the amount of extracted coal. For miners, transporting illegal coal comes at a cost. While a challan for one truck – the capacity of which is not supposed to exceed 9 metric tonnes – costs around Rs 9,000 when purchased legally from the Directorate of Mineral Resources, miners claim they have been paying as much as Rs 30,000 to middlemen to transport coal they have not declared. A businessman with interests in the cement industry said a solution may be possible if the party in power at the Centre has some say in the matter. “We have realised that this battle cannot be won in the courts, it has to be the Centre that steps in,” he said. The BJP has promised to end the impasse within eight months if voted to power. Photo credit: PTI. This article was republished with permission from Scroll.in and can be accessed here. Arunabh Saikia is a reporter on India’s Northeast region for Scroll.in. He previously worked at Livemint and newslaundry. He tweets @psychia90.